Sunny Patch is an imaginative world filled with whimsical,adorable characters boys and girls will love. With their Sunny Patch friends to help guide them, children are inspired to learn about and appreciate all living things. Get in the game with these familar outdoor activities that feature fantastic Sunny Patch Friends! 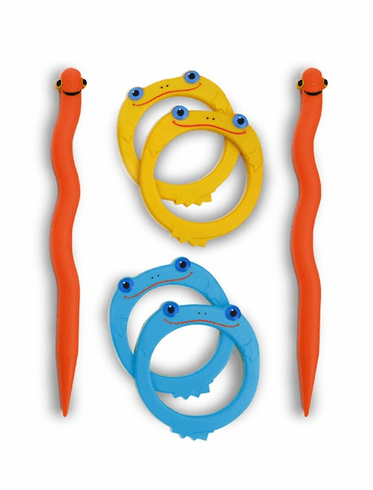 With this set you can fling your froggy ring around the worm stakes and score! Set includes 2 worm stakes and 4 rings. Ages 5+ 10.5" 14.75" x 1" pkg.